The vague notion on Monday that Russia and the Organization of the Petroleum Exporting Countries (OPEC) might engage in a crude trade war against the U.S. spooked traders, who caused the commodity to drop by nearly 1 percent, with only news of plummeting output from Venezuela and Iran slowing the plunge. 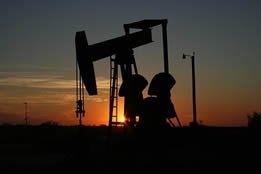 Brent ended Monday's session at $71.18 per barrel, down 37 cents, or 0.5 percent; West Texas Intermediate fell 49 cents, or 0.8 percent, to settle at $63.40 per barrel. The losses were triggered by Anton Siluanov, finance minister for Russia, stating over the weekend that his country and OPEC may decide to boost production to fight for market share with the U.S., but that this would push oil as low as $40 per barrel. Should we lose the market, which is being occupied by the Americans, or quit the deal? He said, "What should we do with OPEC: should we lose the market, which is being occupied by the Americans, or quit the deal? "[If the deal is abandoned] the oil prices will go down, then the new investments will shrink, American output will be lower, because the production cost for shale oil is higher than for traditional output." Once again, trading behaviour on Monday was a prime case of knee-jerk reaction, especially considering OPEC's de facto leader, Saudi Arabia, remains adamant about maintaining a sharp OPEC output cut - if only to keep prices high enough to significantly help that kingdom's troubled economy. Still, Jim Ritterbusch, president of Ritterbusch and Associates, suggested in a note that Monday's losses might just be a temporary blip on the radar: "Today's trade provided further evidence of a bull market beginning to show some wear and tear but also a market that doesn't appear to have achieved an interim price top." Indeed, one sure sign that prices may go higher is the discontent expressed by Bijan Zanganeh, oil minister for Iran, who complained to Tasnim news agency that "Oil prices are increasing every day: that shows the market is worried. "Venezuela is in trouble; Russia is also under sanctions; Libya is in turmoil; part of U.S. oil production has stopped - these show the supply-demand balance is very fragile, [and] if they [the Americans] decide to increase pressures on Iran, the fragility will increase in an unpredictable way." Even those who insist that demand for crude in Asia is not what they hoped for from such a normally robust market concede that further gains will likely occur later this year. Tushar Tarun Bansal, trading and downstream expert at McKinsey & Co., said, "Demand for crude in Asia and other regions is directly dependent upon downstream fuel margins, [and] in the near term what we're observing are weak margins and higher-than-usual planned refinery maintenance in Asia. However, the International Energy Agency believes in the fourth quarter of 2019, run rates are expected to rise by 1.2 million barrels daily versus the same period a year earlier as new refinery projects start; also, Wood Mackenzie Ltd. sees higher gasoil returns in 2020 as demand for low-sulfur fuels climb on the back of new environmental regulations, and it estimates diesel will widen to a premium of $19 per barrel to Brent crude.